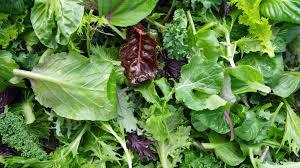 A recent study in Neurology found that eating leafy greens is associated with better memory and a more youthful brain. Healthy participants underwent yearly cognitive testing and submitted dietary histories as to how often they ate leafy greens such as spinach, kale, arugula and romaine lettuce. Over a 10 year follow up, those that ate the most leafy greens performed dramatically better than those that ate the least. The difference was equivalent to being 11 years younger in age! Newer PostDance to a Better Brain!